Please make your room selection here to see current pricing and availability. If you are looking for more than 4 rooms, please take a look at our online group bookings page here. We only allow a maximum of 4 guests per room. You have reached the limit of guests in this room. 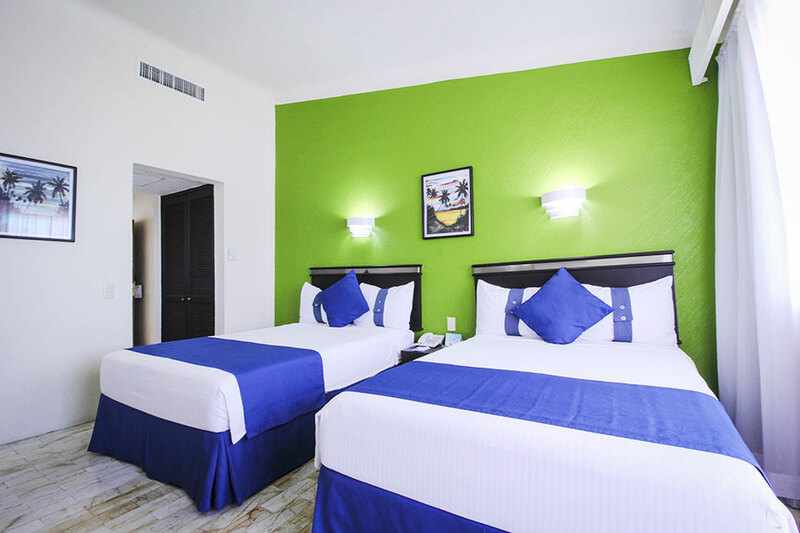 With 65 of these room types, vacationing with comfort is a peice of cake! Option of two double beds or one king bed. 91 rooms available, fully ready for a couple on a beacj getaway! 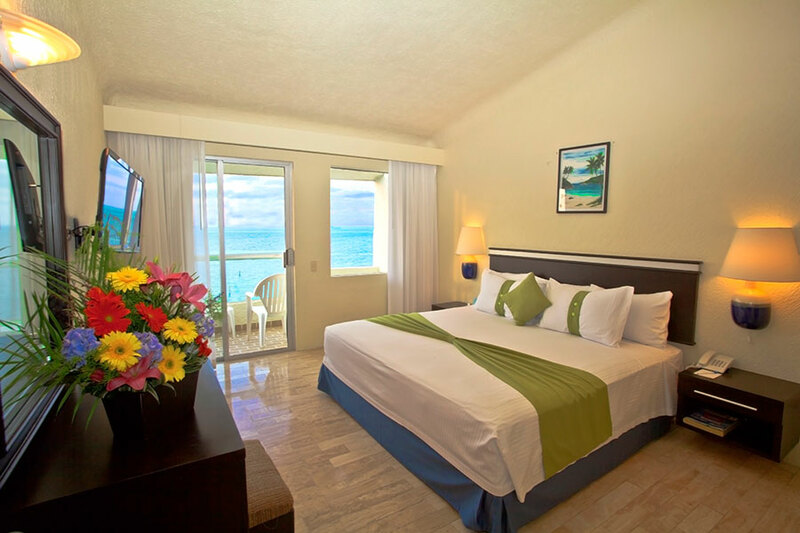 With this beautiful ocean view suite, you will wake up to paradise. Luxury at it's best. With kitchenette and an ocean view to die for. 4 Stars. 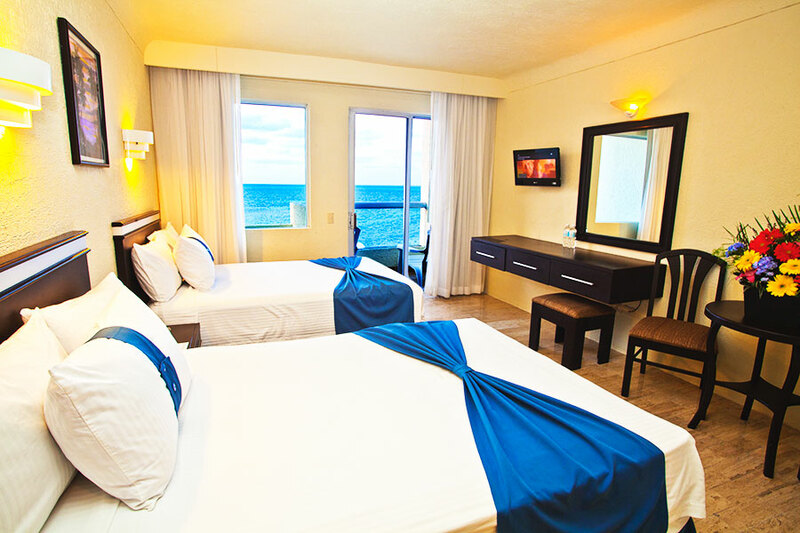 At Aquamarina, we treat our guests with the same hospitality that Mexicans show their friends at home. We do it with deep respect and our finest care and attention at all times to anticipate their needs and desires. 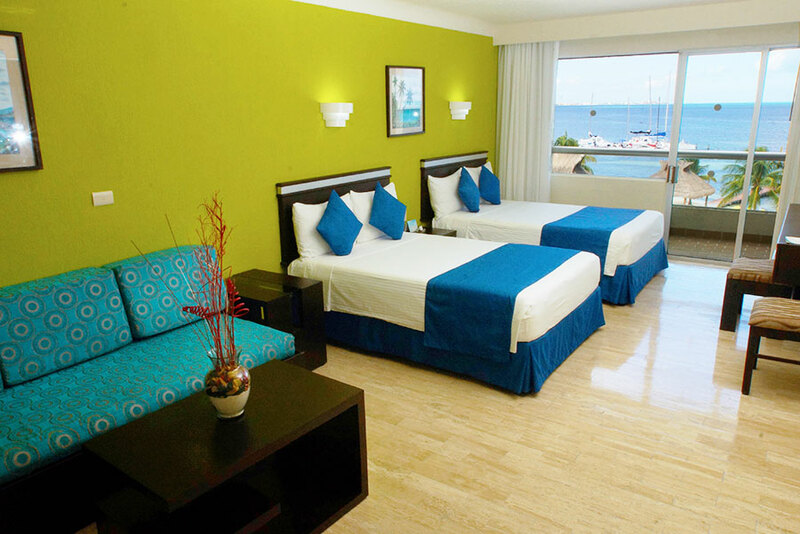 Through owner’s management, we offer quality services to our guests and clients in a tranquil and secure environment. Staff members are consistently trained to ensure their development and promotion within. We participate in community affairs to aid in the development of Cancun, the State of Quintana Roo and Mexico. First in Friendliness. Our commitment to ensure enchanted guests and clients. It means that every guest shall be treated with a sincere smile, deep respect, care and attention to exceed their expectations and desires. All this with the hospitality and love that we show our friends when they visit our home.